Ya know what's funny? You can get a basic number generator or dice app for free on the play store or the apple store. Some of them even allow you to add bonuses and buffs so the math is done automatically. I have one of these apps on my phone but I also carry my dice everywhere I go. So if it's so convenient to have an app why even bother carrying my dice? Have you ever been playing some tabletop game and gotten to a point where the session or story is dragging a bit? You get a little bored and then suddenly you start going to other apps on your phone. You check facebook and start stepping outside of the roleplaying experience. You're not in the real world or the fantasy world. You're in the digital world. These apps make it easier to step away instead of fully engage. It's no secret that this happens outside of the tabletop experience but there's something to be learned from the analogy. The question I would ask if you're not getting much out of your DnD game, is what are you putting in it? The game master shouldn't be seen as an entertainer but as a director of sorts. The players, in turn, are also entertainers. The GM sets the stage and is only half responsible for the fun you get out of the game. YOU (the player) are responsible for the other half. What you get out of your game is what you put in. If you find yourself disengaging, ask yourself, "What can I do to be more engaged?" If the GM finds his/her players are getting bored he/she would ask, "What can I do to engage these players more?" This same question can be asked when the cell phone takes us away from connecting with others or fully engaging in a project. The first step may be to find apps that reinforce what you're trying to do. You may even find something that helps you engage better. If you do, I'd recommend turning airplane mode on when you find that right app. Trust me, I'm a full supporter of useful technology in the workplace, gaming sessions and even church. Here's another idea: why not go unplugged? One of the most memorable DnD sessions I had and one of the best birthday parties I had, were both unplugged. I felt more connected and got more out of the experience. It made me appreciate the feel of dice more. The weight they felt in my hand. The suspense of wondering if I would hit or not. I can't get that from a free app. 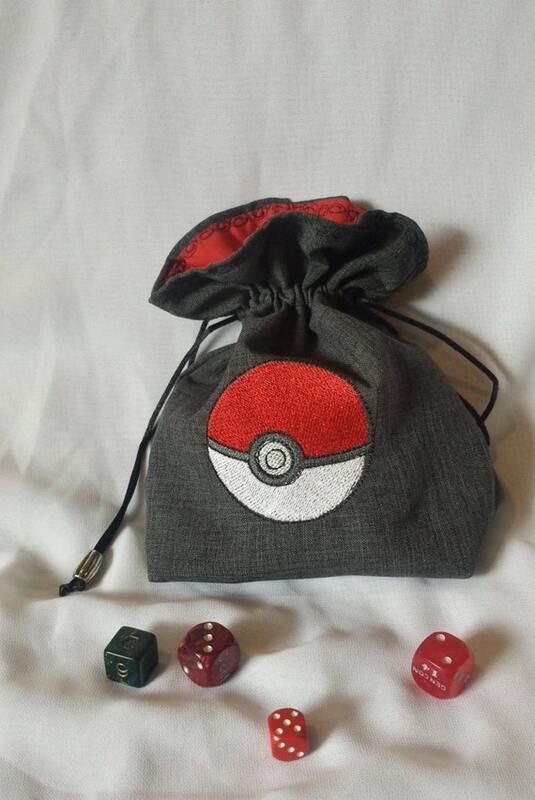 Invest in some dice and a get a cool dice bag. Ditch the boring clear cylinder (unless it totally works for your sci-fi campaign). Speaking of dice bags, check out these ones my friend Sadie has recently started selling on her Etsy page. 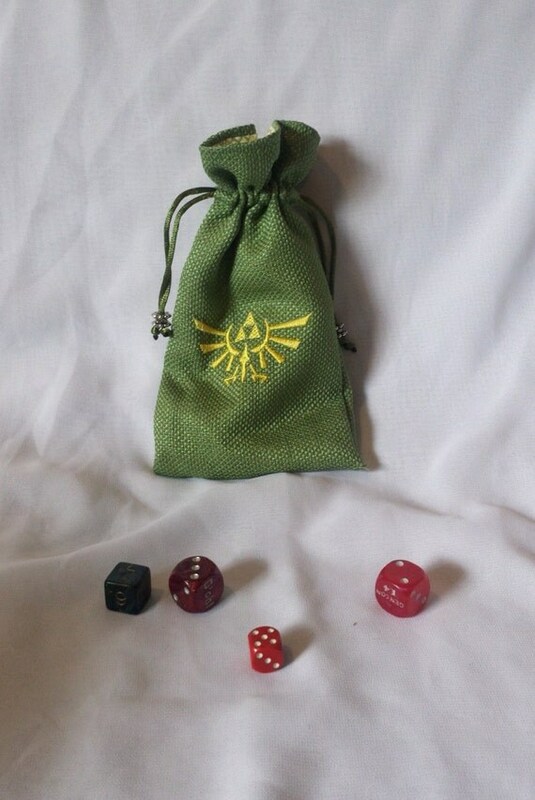 Unlike other dice bags I've seen, these come with fun symbols on 'em. There's something for everyone. You can get something steampunk, one with a pokeball or the hylian crest! She has plans for future bags in the future that may include the family crests from Game of Thrones or the Pathfinder Society faction symbols. Follow her on etsy. Sadie has even given us a nice 15% discount just for our readers. Use coupon code 'MORMONGEEKS' at the checkout. In the end, don't let digital distractions trick you into neglecting the good quality stuff. Skyrim is a beautiful place but doesn't beat an awesome hike on the wasatch front. An online friend is always better to see offline, face to face. A free app never beats the roll of a D20. My family and I moved this past week. It closed a large piece of my life. From the day we closed on buying our condo in 2009 to the day we closed on selling it recently, it was six years and one day. Seriously loving the poetic bookends of that time frame. The last six years had their ups and downs. We had some good times and some difficult times. Even some scary times. But now that part of my life is closed and gone. There is definitely some sadness. Despite how difficult it seemed to feel a part of the ward community I was in, it definitely was very sad to leave the friendships I built my last couple of years there. But now it's time to start anew. I think there are some TV shows that do this concept well. Arrow being at the top of my list. For the first three seasons, there was an overarching story. When it was done, the story moved on. Characters developed and they went with the story line. 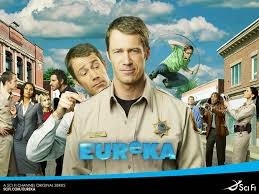 Eureka was a show I felt did this really well. With its five seasons (two of which being split into two halves), it constantly would tell a different story. As one of my favorite shows, the characters grew and fell. It was both awesome and heart-wrenching when the 4th season premiere undid some of the character developing (Mostly with Zane) in an awesome "butterfly effect". And by the time the show ended, it had a great story from beginning to end. Other TV shows have done this and just let the viewers down. Heroes and, to some extent, Alias both did this. Yes, each season had a good overarching story. 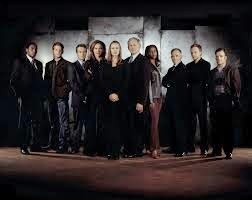 For Alias, it's first two seasons were awesome. Then they did season three, rich with time frame errors and ending with an awesome cliff hanger only to have a disappointing opening for its next season that didn't fit what Sidney learned. 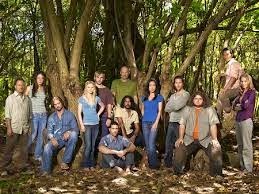 Lost took its sweet time telling its story to the point that people "Lost" interest. Its fantastic first season was followed up by a decent second season. My interest dropped in the third season. There was a statement made that the writers knew where they were going with the story. Then I found out, the only thing that meant was they knew how they were ending it, but not how to get there and how to answer the still 4,000,000 unanswered questions in the show. Even comedies have told stories in a season. Friends probably did this strongest from season 1's story of "Ross likes Rachel, so what?" 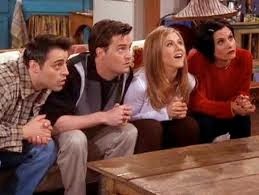 to season 4's "Ross and Rachel have moved on, maybe" to the combo of 9 and 10 for "Ross and Rachel and how do they deal with being a parent to a rarely seen baby. "Not the same season arcs that Arrow, Eureka, or even Lost told. But still an arc nevertheless. Well, now my 6-year arc is over in one home. Yes, I hope to see the people I became friends within that time frame as often as possible. For me, a lot happened in those years. I feel like I grew a lot in that time. But now it's time for the next chapter or season or book in my life. Between earning my CMA, LDStorymakers, and moving, this year has already been extremely full. 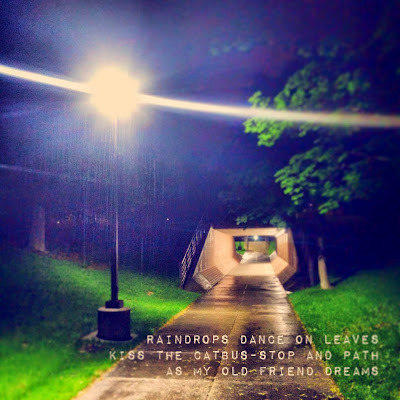 Okay, enough rambling about writing. Time to actually write something other than a blog post. It was only about a year ago that I first watched CW's extended trailer for The Flash. And once I had seen it, I was instantly impressed and excited to watch this new series. And now that the first season of The Flash has just come to a close, I can definitely say that it lived up to my expectations. 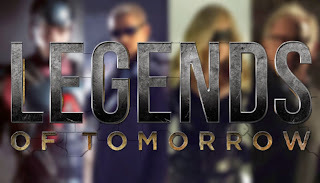 Last week, I first saw the trailer for the next series CW's superhero line-up, DC's Legends of Tomorrow. And my reaction to it was very similar to the trailer for The Flash. If you haven't seen it yet, watch the trailer below and you'll see what I'm talking about. While DC has sometimes been hit or miss with the movies produced about their characters, one thing that they've definitely gotten right is their current TV universe (known affectionately by fans as the Arrowverse, as Arrow was the series that launched DC's current TV universe). While it took me a while to get on the bandwagon, Arrow was a fast hit. And I've watched The Flash from the start, and though it's been very different from Arrow, it has been every bit as good. Now with Legends of Tomorrow, the legacy continues. Legends of Tomorrow is being produced by the same team that developed Arrow and The Flash. 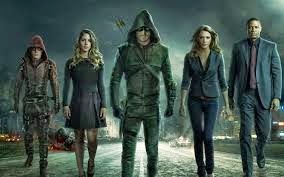 Co-developer Greg Berlanti has said that, it is intended to be “most similar to our crossover episodes, where you feel that ‘event-iness,’ but all the time.” The cross-over episodes of Arrow and The Flash have been among my favorites. And if the trailer is any indication, the Arrow and the Flash will be making appearances in the new show as well. And as you may have noticed, not all of the stars of Legends of Tomorrow are heroes. As Rip Hunter alludes to in the trailer, and as the title states, they are not heroes, but legends. The cast of Legends of Tomorrow. 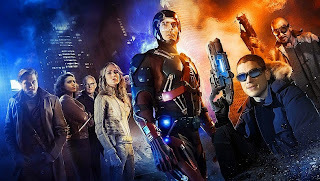 From left to right: Arthur Davrill (as Rip Hunter), Ciara Renée as Hawkgirl, Victor Garber (as Professor Martin Stein), Caity Lotz (as White Canary), Brandon Routh (as the Atom), Wentworth Miller (as Captain Cold) and Dominic Purcell (as Heat Wave). As the trailer showed, Legends of Tomorrow features Rip Hunter, Professor Martin Stein (who makes up one half of the superhero Firestorm), Ray Palmer (better known as the Atom), Sara Lance (returning in a new role as White Canary), Kendra Sunders (also known as Hawkgirl), and Leonard Snart and Mick Rory (Flash Rogues Captain Cold and Heat Wave). Although this is an all-star cast, the characters I'm most looking forward to seeing are the Atom and Rip Hunter. 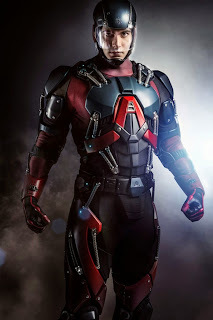 I've come to love Brandon Routh's portrayal of Ray Palmer in Arrow. He adds humor and lightheartedness to to what is often a rather dark and serious show. And while I will be sorry to see him leaving Arrow, I look forward to continuing to see his character in a new more central role. 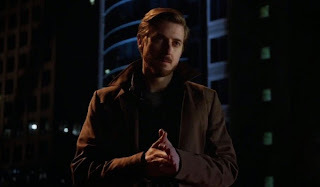 And Arthur Darvill, who is best known for playing Doctor Who companion, Rory Williams, marks the third actor from the Whoniverse to be featured in the Arrowverse (following John Barrowman's portrayal of Malcolm Merlyn and Alex Kingston's portrayal of Dinah Lance). I'm still not sure whether Darvill being cast as Rip Hunter is just really fitting or if he's being typecast, but either way, in just the short appearance he makes in the trailer, he seems perfect for the role. Legends of Tomorrow is scheduled to begin filming this August and is scheduled to premiere in January 2016. Personally this is one show that I don't want to miss! As the first season of The Flash and the third season of Arrow have just recently wrapped up, stay tuned during the next few weeks for my review of the season of each show. Sadly another conference for LDStorymakers is already over. For me, it was a two-day whirlwind where catching my breath (and a cold) have been difficult. This year was vastly different than any other year, for me at least. With all my studying and house-buying coming to a close, it's been a very busy year. Add teaching a class both days of the conference and you can see how 2015 has started off somewhat hectic. But I was able to laugh and have fun as the pseudo-Survivor meme below suggests. 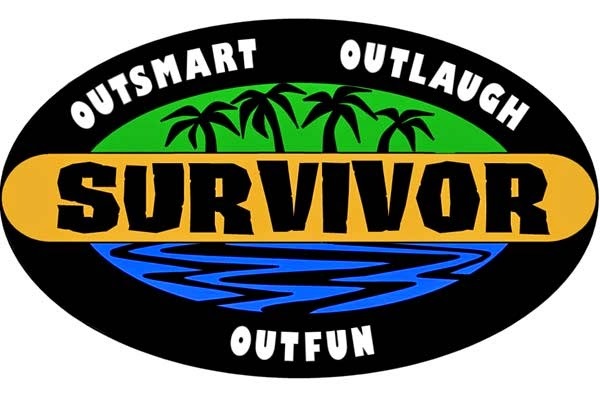 Pretty much, I outsmarted my negative self. This was the first year the Storymakers was held at the Utah Valley Convention Center. It was an awesome location with acrophobia-inducing escalators. Seriously, when you get on an escalator and it takes at least 90 seconds without walking to get to the top, it's really high up there. Rode an elevator once. Wasn't any faster. Other than that (and the spitting soap dispensers), it was a great place for the conference. The main ball room held the 700-ish people. We were then able to go upstairs or downstairs for one of many classes offered. Besides the 2 I taught, I only attended 3. For some reason, I kept falling asleep sitting in any classroom. Also, the bookstore was awesome. There was so much to choose from. Good thing I only made 3 choices (one of which was the Whitney Award winner for Best Novel of the Year this past Saturday night. Congrats, Sarah Eden!) But it's amazing to go from what I recall seeing in the bookstore in 2010 at the first LDStorymakers conference I attended and compare it to how much it's not only grown, but also features books written by people I've met before they were published. Or friends who were already published but added a few more books over the years. As I was privileged to help out at the bookstore (because Scott and Julie tolerate someone who knows how to work a cash register), I smiled anytime I saw a book from one of my friends pass through the line. There was a theme around "this is my tribe" from our conference chair, Melanie Jacobson. The theme definitely fit for me. Last year it just wasn't my best year. With the exception of hanging out in the bookstore, I just had lost all my mojo. But this year, I feel revived. Part of that is last year my annual roommate, James Duckett, couldn't make it. After feeling deflated from an agent's remarks, I just didn't have it in me to enjoy Storymakers last year. This year, complete 180. I felt at home the whole weekend. Following James' example of exerting extrovert energy (how's that for alliteration?) I decided to be social. And you know what, I had fun this year. More fun than any other year I've attended. And as much as the LDS writing community is a tribe, it's also a family. It felt like a family reunion. I don't feel nearly as comfortable around any group of people as I have with my Storymakers family. Especially this year. This year, I felt at home. I had conversations with people I only see once a year (rarely more) and still felt like I was seeing a cousin or other relative I get along with. 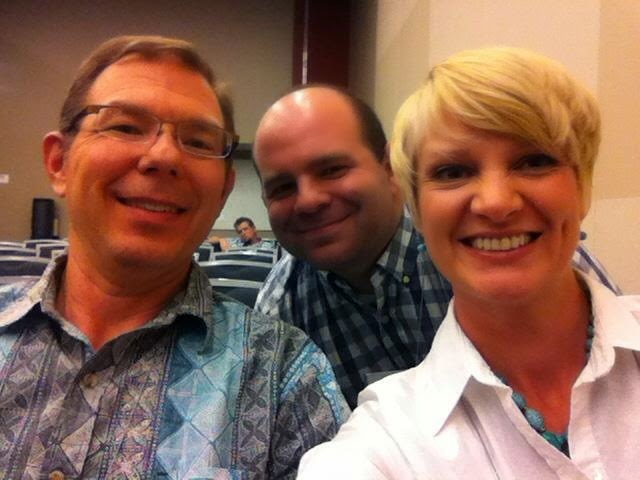 And as the conference grows, so does this pseudo-family. Every year I meet or talk to someone who hasn't been before or been in the time that I've been going or has been and we've just never crossed paths. This year, I got to meet all three types of people and adding them to my family like Ash Ketchum collecting Pokemon. Okay, maybe not that creepy sounding. 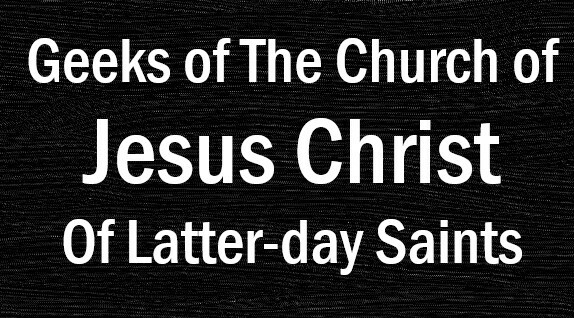 So, if you missed the epicness of LDStorymakers this year, next year's conference was already announced that May 12-14, 2016 at the Utah Valley Convention Center. I know it's crazy to hear from me right now. I've been MIA for the past 5 months due to the intensity of school. I have so much to catch you all up on. So many personal changes and life experiences I've been needing to share for a while. For today, let me tell you about what I got out of the Game Developer's Conference (GDC) and what I learned from watching the documentary Harmontown. As most of you know, I am studying Animation and Game Design at Utah Valley University. 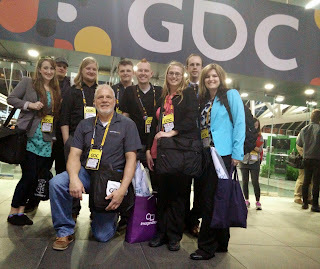 Before I went to GDC at the beginning of March we were just starting production for our video game junior project. I worked hard. I drew up some really cool concept art and stylized visual effects. (A future blog post.) The thing was, I worked hard primarily because I was afraid what would happen if I didn't. Up until GDC, I didn't really feel like myself. I just felt like I was there. I felt like I was someone I didn't know or recognize. Something changed in me fall of last year that took me a while to process and changed me. The only time I really felt like me was when I was drawing and doing stuff for our project. Even then, when I completed artwork and assets for our video game it was primarily out of fear. Here I am with classmates and my professor. So why was I afraid? I lost a sense of confidence. I was afraid that if my portfolio didn't look good that I would fail. I was afraid of not being able to get a job. I was afraid that I was wasting my time when I really needed to be pursuing a different path. I was afraid of being a starving artist and need to make sure everything is perfect. I was insecure and anxious. 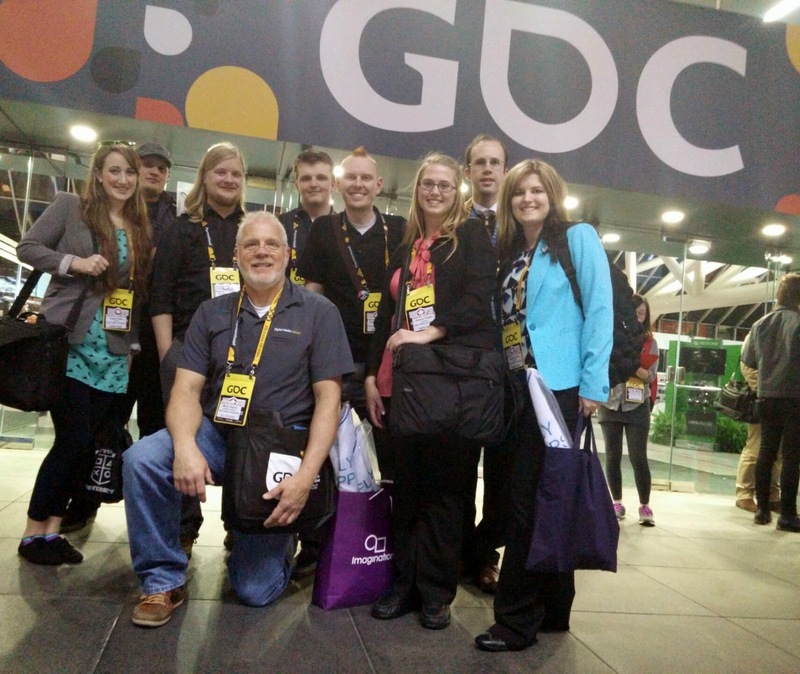 When I went to GDC, I felt like I came to an emotional oasis. I felt secure. I felt belonging. I knew this was where I needed to be. I knew this was the industry I needed to work in. I felt alive. I felt excited. I felt like me. I knew I had a long way to go but this time I felt hope and not fear. Before GDC, I did artwork because I was afraid of what would happen if I didn't. After GDC, I did artwork because I loved doing it. So what lesson did I learn from Dan Harmon, the creator of Community? The documentary Harmontown follows Dan Harmon between seasons 3 and 5 of Community. NBC fired Dan Harmon for the 4th season and he was out of a job. Dan felt angry, discouraged and depressed. He decided to broadcast a podcast called Harmontown to work through his emotions. (Subsequently, Harmontown became a hit podcast.) Dan went on tour for live recordings of his podcast throughout the country. This was covered by the documentary. Dan is alcoholic, sometimes a jerk, crude and blunt. He's completely honest with himself and everyone around him. He doesn't fool himself, he knows his weaknesses. He's a little lazy. He's sometimes a control freak. He's a genius. He's compassionate. He's inspiring. In short, Dan Harmon is Dan Harmon. What I loved about Dan Harmon's story is simply that he does what he loves. He doesn't care about tv ratings for Community. He writes because he loves to write. Not many people watch Community but the people that do are the best kind of fans you could ever wish to have. The documentary shows that they are real people who have felt alone for being the "weird ones." When Dan Harmon meets these people he's humbled by how he touched their lives. It made me realize that this blog may not be the most popular blog out there. It may never go viral or become extremely popular. But we have the best readers and we don't write to become popular but because we love it. Similarly, the video games I create in the future may not be hits. I may not make a lot of money from them. But I don't do what I do for money. I do what I do because I love it. When an artist produces something because they love it you can feel it. It's the best work. It's the most influential. It's the real and authentic. I fall into putting off creating and doing work I love. I'll give that time to television and video games. I love it so why do I do it? Well, that's a different blog post. The point is, I think we should all do what we love. I don't mean doing something to help us relax but doing something to help us be. Put down the remote and write. Put down the controller and draw. Start creating plans for something you love when you walk out of the movie theatre. Give time to do something.